Situated between Poland and Slovakia, theTatra Mountains are a dream destination for any avid climber, and since this is the smallest Alpine range in Europe, it’s often a good choice for anyone new to climbing. Serene and majestic, this is a mountain range that should be on every climber’s bucket list. If you’re new to climbing the Tatra Mountains, there are a few obstacles that can get in your way during your ascent. The first thing you’ll want to do is determine how to get to the mountains to begin your climb. The Tatra Mountains have two main places where climbers can begin: Poland and Slovakia. Climbers can ascend either side of the mountain, or an entire weekend can be set aside to climb the entire mountain. If you want to go to the Slovak Tatras, you’ll need to make your way to Popra. Most major cities will have a train that connects to Poprad. Once in the city, you’ll need to take a train to one of the resorts and start your ascent. Most people choose Strbske Pleso or Stary Smokovec as their starting point. The Polish Tatras are majestic, and if you’re starting from Krakow, you’ll want to make your way to Zakopane, which is easy to do with many buses leading to the city. Once you’ve arrived, you can take a taxi to one of the valleys to begin your climb. This is a simple way to reach the Tatra Mountains. There’s a reason you don’t see many elderly people climbing mountains: it’s taxing on the body. Mountain climbing requires flexibility and strength. If you don’t have the stamina to climb a mountain or the strength in your arms to hold your body weight, you’ll find that climbing is a miserable experience. Strength: You should have enough upper body strength to do a pull up before attempting to climb. If not, you’ll want to be able to at least hold your bodyweight for a few seconds. Stamina: Without stamina, you’ll either need to prepare for a long climb, or you’ll be stuck on the range all day and night – or for several days. You need to get in a few months of cardio to really prepare for a climb. And if you want to try and consolidate your efforts of training, a rowing machine (like the ones here) or another piece of cardio equipment that works the upper body and builds stamina is recommended. Average flexibility will also be needed. If you have tight hamstrings or shoulders, you’ll want to work on loosening them up, as they’ll be greatly overworked. Helmet: It goes without saying that you need to have a helmet to protect your head. An adjustable helmet is desired, especially during winter climbs where you may have a hat on that alters the size needs of the helmet. We recommend having a look at a Petzl Helmet as they are a trusted brand for climbing. Rope: A dynamic rope is ideal. The size of the rope will depend on the pitch of the areas where you’re climbing, but a good rule of thumb is to choose a dynamic rope that is longer. Obviously, you’ll also need a backpack, extra pairs of socks, first aid kits, food and water, among many other items, before beginning your climb. Mountaineering is serious business, and one wrong turn can cause you to be stuck on a remote piece of land on the top of the mountain with no one to help you escape. Always prepare for your trip beforehand if you’ll be ascending a mountain. And always have some basic climbing experience or go along with a professional to ensure you’re able to return home safely. 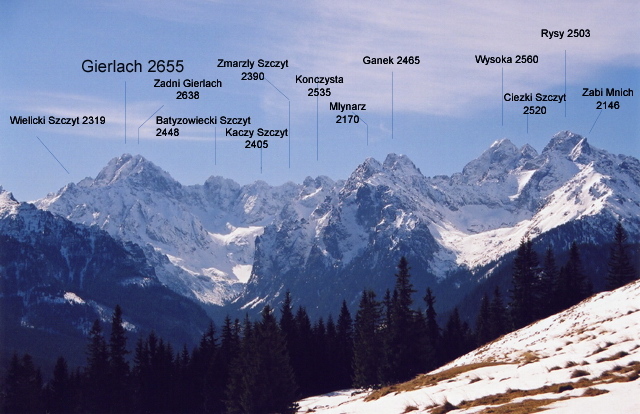 Keep in mind that these are all Polish trails, and all climbers must write a detailed outline of what their climb will entail in the Book of Climbers’ Departures. This book can be found in one of many shelters. 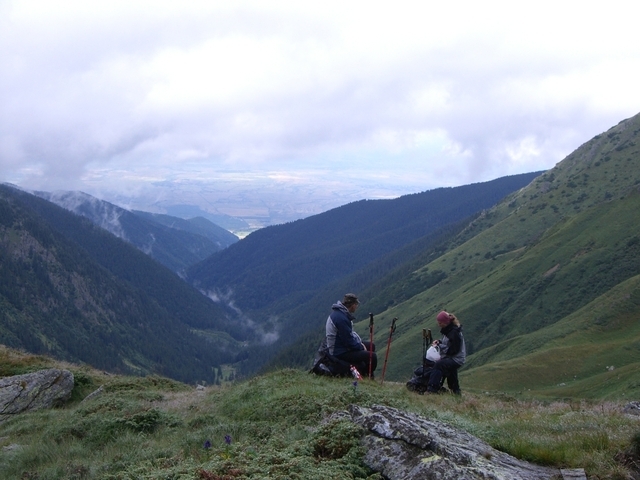 If you start in Slovakia, you must join the Mountaineering Club, and you’ll be required to use all of the III UIAA grade trails. Keep in mind that if you need to be rescued during your journey, Slovakia will make you pay for the rescue, but Poland will rescue you free of charge. You’ll also need the proper insurance in the country before your climb. If you’re not a native, make sure that your health insurance will cover any medical care needed overseas. When it is best to begin your climb? This depends. Winter excursions are riskier, and you’ll want to be with a larger group as a result. But the mountains are free to be climbed all year long. While the summer months do offer better weather, the weather can change quickly and be unpredictable. As a result, always check the local weather before going out for a climb to avoid any potential hazards that may arise. And if this is your first time climbing, it’s recommended that you pick up a few guidebooks to familiarize yourself with the climbing experience. This is the best way to be able to ensure that you’re able to safely climb your desired peak. Sam Shefrin is an avid hiker and supporter of tatraguide.com. He has lent his technology resources and financial resources to keep tatraguide.com alive and online. Sam is the founder of & he writes a Management blog at . Harley Mcintosh is a high peak climber specializing and a dreamer. Harley has made financial contributions to help pay for web development and design. The following individuals have contributed financially or with their time to help our website. If you would like to contribute to Tatra Guide with resources and/or time, please Contact Us.